My good friend and colleague Audrey Eschright runs indie publishing company Recompiler Media, which produces the feminist tech zine Recompiler and a companion podcast of the same name that I co-host. It also publishes important books such as the Responsible Communication Style Guide, edited by Thursday Bram. Right now, Audrey is running a Kickstarter campaign to fund Year 3 of the Recompiler. If you’re able, please contribute what you can to this awesome effort. There are some fantastic backer rewards. If you select the “Community Builder” package, you’ll get a copy of the Responsible Communication Style Guide, the 1st edition of Community Event Planning, along with updates as we complete chapters of the 2nd edition. That’s right! We’re doing a 2nd edition of Community Event Planning, our guide on how to organize community-focused tech events and if you support the Kickstarter you’ll get a copy of the new and current editions. I’m thrilled for the opportunity to share even more of what we’ve learned about organizing community through events, including first-person accounts from organizers of all kinds of events. The new edition will include sections on selecting the best talks and activities for your event, budgeting (with examples! ), logistics, inclusion, and building your team. To celebrate the Recompiler and all its great content (and to inspire you to join the Kickstarter), we’re doing our first telethon! It’s this weekend, Saturday, 11 November from 10am-4pm PST. I don’t have the links to the livestream quite yet, but will update this post soon with all the relevant details. Stay tuned! One of the things we’ll be doing during the telethon is answering your questions so submit them here. Please tune in on Saturday and join me in supporting the Recompiler for Year 3! Note: This post is third in a series where I share what I’ve learned starting and producing the Recompiler podcast. If you haven’t already, start with the introduction. This post follows Step 1: Identify a Topic, Point of View, and Structure. Step 2: Gather your recording equipment: Computer, microphone, audio interface, headphones for monitoring. There are numerous ways to record and produce podcasts. Not unlike photography, you can put together a digital recording rig for very little or you can spent thousands or tens of thousands of dollars on expensive, high-end gear. I recommend that for your first podcast endeavor, you get the best quality gear you can comfortably afford. If you end up doing a lot of podcasting, and find a way to fund it, you’ll surely want to upgrade your equipment. And by then, you’ll have more experience to guide you. Below I give an overview of what you’ll need and explain what I picked for the Recompiler. For a more detailed guide, check out Transom’s excellent Podcasting Basics, Part 1: Voice Recording Gear. Computer or portable recorder too? First, you’ll need to decide how you’ll be recording your audio: via a computer or a portable recorder. If you’ll mostly be doing field interviews or otherwise traveling a lot, a portable recorder might make sense. The downside is that you’ll still need a way to edit and publish your podcast and that requires a computer. For the Recompiler, I first thought I’d be doing a lot of field recording so I picked up a Sony PCM-M10 ($200 at the time). While I use it for other things, I haven’t ended up using it much for the podcast. Instead, I record at my desk directly into my refurbished MacMini. The good news is that you don’t need a high-end machine to record and edit podcast audio. There’s a good chance that a computer you already have available to you will be sufficient. And, audio recording and editing software is available for Windows, macOS, and Linux. Being an audio medium, you’ll need to have a way to record audio. Most all modern computers have microphones built in. You can certainly start with whatever you have available to you. If you can’t afford to buy anything new, and you are ready to get started, don’t let the lack of an upgraded microphone stop you. A smart phone is also another good getting started option, especially if you have an iPhone. Most portable digital audio recorders have microphones built in as well. However, if you do have a couple hundred bucks to spend, I recommend getting a better external microphone along with an audio interface. External microphones generally connect via USB or XLR. Some have both. If the microphone has USB, you connect it directly to your computer with a USB cable like you would an external hard drive or non-wifi printer. If the microphone has XLR, you need an audio interface between the microphone and the computer. The microphone connects to the audio interface via an XLR cable, and the audio interface connects to the computer with a USB cable. The XLR setup is overall more complicated and more expensive, but generally provides better quality. There are several USB microphones aimed at first-time podcasters. When I recorded In Beta, I used a refurbished Blue Yeti. I did not get the best of results. 5×5 nearly always complained about my audio quality. And, in general, I’ve had trouble with USB-based microphones, where I often have a ground-loop hum, which everyone but me can hear. As with all things, YMMV. Some folk swear by the Yeti, and other USB products from Blue. Rode also makes a USB microphone, but it’s more expensive than Blue’s offerings. Having given up on USB microphones by the time we were planning the Recompiler, I looked for an affordable XLR solution. I settled on the Electro-Voice RE50N/D-B, a hand-held high-dynamic microphone with the Focusrite Scarlett 2i2 audio interface. My choice of microphone was based on: price (was in my budget), ability to use it in the field as well as in the “studio”, and that it would work with my chosen audio interface without extra equipment. I don’t recall how I settled on the Focusrite. I think it was a combination of a recommendation via Twitter, price, and brand (Focusrite seemed well-known and dependable). I’m happy with both choices. The Scarlett 2i2 worked right away without fuss and I get decent sound from the RE50N/D-B in a variety of environments. If you’re just getting started, I definitely recommend the Focusrite Scarlett 2i2 ($150 new) if you want to be able to record a guest or other audio source in studio, or the Scarlett Solo ($100 new) if you just need to record from one audio source. Look on eBay for used equipment to save money. As far as microphone, there are too many options and preferences for me to feel comfortable giving a specific recommendation. If you’re just starting out, I recommend reading through reviews on transom.org and then getting the best microphone you can comfortably afford, knowing that it won’t be the last mic you buy if you stick with podcasting. Unless you’re doing field interviews exclusively, you’ll need to get something to hold your microphone. This can be a tabletop or floor stand, or a desk-mounted arm. You might also want to include a pop filter and/or a shock mount. The Transom article I first mentioned earlier gives a good overview of options for these. For the Recompiler, I use the RODE PSA1 ($100) as a microphone mount and the simple foam microphone cover that came with the RE50N/D-B. I haven’t needed a shock mount because, I think, the RE50N/D-B is designed as a hand-held mic and doesn’t pick up a lot of vibration. I’m also careful not to bump it, the mic boom, or my desk while I’m recording. Don’t forget to get and use a decent pair of headphones while you’re recording and editing your podcast audio. For the Recompiler, I picked up a pair of Sennheiser HD 202 II ($25) which are dedicated to audio recording and editing. In fact, they never leave my desk. That way I’m never scrambling to find them when it’s time to work. The Sennheisers I have aren’t amazingly awesome, but they were inexpensive and get the job done. Whatever you pick, aim for headphones designed for studio monitoring, that are over-the-ear, do not have active noise cancellation, and do not have a built-in mic. If you do end up using headphones with a built-in mic, double-check that you are not recording audio from that mic. There’s nothing more disappointing that recording a whole segment or show only to realize you used your crappiest microphone. If you have it in your budget, you might consider the Sony MDRV6 ($99). Please get in touch or leave a comment below if you have questions, comments, or just want encouragement! Stay tuned for the next post in this series! Note: This post is second in a series where I share what I’ve learned starting and producing the Recompiler podcast. If you haven’t already, start with the introduction. Your first step in making a new podcast is to identify a topic, point of view, and structure for your podcast. This sounds simple, but it’s helpful to think about at the beginning, to record your answers in writing, and to refer back to them often and your podcast matures. The Recompiler is a feminist hacker magazine, launched in 2015. Our goal is to help people learn about technology in a fun, playful way, and highlight a diverse range of backgrounds and experiences. We’re especially interested in infrastructure: the technical and social systems we depend on. We want to share what it’s like to learn and work with technology, and teach each other to build better systems and tools. As far as structure, early on, we decided that episodes would feature a mix of Audrey and me talking about tech news and other timely topics, along with interviews of Recompiler contributors and other “subject-matter experts.” I put “subject-matter experts” in quotes because I intentionally look for folks from a wide range of backgrounds and experiences, many of which might not be considered “experts” by mainstream tech. We also decided that the Recompiler would have a casual, unscripted structure. We don’t currently broadcast live (although we might in the future). I do minimal editing, focusing mostly on making episodes listenable, rather than having a particular narrative arc. The order of what you hear is most likely the order in which we recorded, with inaudible or otherwise disruptive segments removed. We aim for episodes to be about an hour long. Episodes always include two people: myself and Audrey, or myself and the person I’ve interviewed. Our target publishing frequency has changed as I’ve become more comfortable with the production process. First our goal was monthly, then twice a month, and now weekly. We don’t always meet this goal, but we’re getting better at it. How did we make these decisions about structure? Mostly based on my constraints, both in terms of skill and time (both limited), as well as my personal preferences in terms of what I enjoy in podcasts. The decisions you make regarding structure will determine the resources you need to produce a completed episode. For example, a heavily scripted show will require more audio engineering skill and editing time. The next post in this series is: Making a Podcast, Step 2: Gather your recording equipment. The first episode of the Recompiler podcast posted on February 4, 2016. This means I’ve had nearly a year of experience producing a podcast and in a series of posts, I’d like to share what I’ve learned. 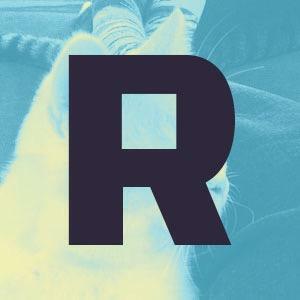 Unlike with In Beta, a podcast I co-hosted with Kevin Purdy, I am responsible for the entire production of the Recompiler podcast: content development, booking, interviewing, audio engineering (recording and editing), publication, and promotion. With In Beta, I was just a host, responsible for developing content, performing the show, interviewing guests, and writing show notes. Staff from 5by5, the network to which In Beta belongs, did all the other audio engineering tasks and already had a publishing and marketing platform in place. In truth, figuring out how to do the audio engineering was my biggest obstacle to creating the Recompiler podcast. It’s why there was a several months-long gap between our announcement about the podcast and our first episode. Looking back, of course, many of the things that seemed overwhelming at the time are now routine. In the next series of posts, I share what I’ve learned. In doing so, I hope to encourage any of you who are interested in making your own podcast and give you to concrete tips for getting started. Next up: Making a Podcast, Step 1: Identify a Topic, Point of View, and Structure. The Recompiler: Now with more podcast! If you’ve been watching my tweetstream recently, you know that The Recompiler (@recompilermag), a magazine about technology, is in the final days hours of it’s inaugural subscription drive. Yesterday, Audrey announced that we’re going create a podcast version of The Recompiler! Some of you may have listened to In Beta, which I co-hosted last year. Doing that podcast was great fun and I’m so looking forward to hosting this supplement to The Recompiler. The podcast will enhance the written version of the magazine with tech news, criticism & commentary plus interviews with our authors. If you’re craving awesome, insightful conversation on technical topics from fresh, less-heard-from voices, then The Recompiler podcast is for you! Get involved and support The Recompiler today by purchasing a subscription and look for the first written issue and episode this summer!